Want to live in Canada? Then Ottawa might be the city for you. Walk the streets of Canada’s capital and discover a plethora of cultural, historical and beautiful attractions. Learn to love Ottawa and all it has to offer you. Walk the streets of Canada’s capital city and discover a plethora of cultural, historical and beautiful attractions. You will be greeted by the French and English speaking residents as you explore the city which is known for its love of celebrations and thrilling nightlife. Ottawa is a city for all seasons with summers spent taking walks and cruising along the canal and winters skating on the same canal which then becomes the world’s largest ice-skating rink. These beautiful attractions explain why most people choose to walk and cycle in Ottawa rather than use any public transport. Ottawa may also be best known for its castle-like buildings, especially on Parliament Hill, where millions of visitors get the best views over the city as well as the unique experience of seeing the changing of the guards each day. The summer months bring along evenings filled with bright lights and music with stunning giant images displayed on the buildings. Spending your time outdoors is no chore when you are somewhere as spectacular as Ottawa. The mighty Ottawa River flows across the Northern shore of the city and sees many visitors during the summer months. Adrenaline seekers can try their hand at white water rafting or a gentler kayak down the river, while avid fishermen can set up along the shore for a chance at landing 4ft gar and pike. Journey through the many forest paths in Gatineau Park, located only an hour outside of Ottawa. Cyclists and hikers can enjoy winding, challenging paths that lead to an impressive view that will ensure your trip was worth it. Ottawa is the culinary epicenter of Canada, with many top-rated restaurants as well as smaller boutique-style bistros that line the streets. The available food is wonderfully varied with the option to enjoy French, Italian, Chinese or comfort food with a Canadian spin. Spend your days soaking up the culture of the city with cycle tours and themed walks. You can stick to the more traditional tours with a historic stroll to the Parliamentary buildings and the UNESCO World Heritage Site or you can try something completely different like a Haunted Walk. This nightly tour is led by your cloaked tour guide and a dim lantern, all adding to the heart-racing experience of exploring the most haunted of the Ottawa attractions from the jail cells to the iconic Fairmont Château Laurier. 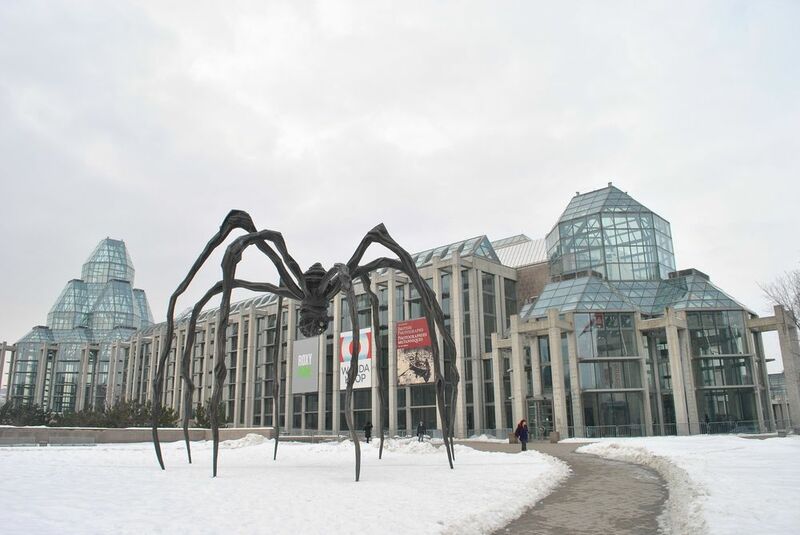 The museums in Ottawa are well-known for their variety and impressive collections. The Canadian Museum of Nature is a must-visit with galleries filled with dinosaurs, mammals and the skeleton of the largest living creature in the world, the Blue Whale. The eye-popping display of insects and arachnids will have every kid clamoring to see the fascinating creatures. Ottawa loves to Celebrate, and has become a popular spot for most of the nation’s most well-known festivals. 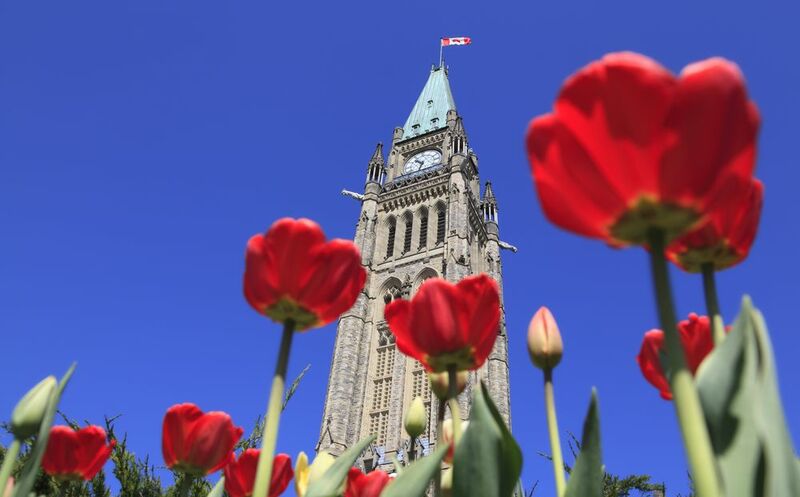 Every July, the capital city hosts an extravagant Canada Day celebration where the streets are filled with thousands of people patriotically dressed in red and white while fireworks illuminate the night from Parliament Hill. Since 1953, the Tulip Festival has been enchanting visitors and locals with an alluring display of these unique flowers. Every May, the blossoming tulips attract millions of admirers, making this one of the biggest displays in the world. Ottawa is definitely a top tourist destination, but it also offers a great place to live. 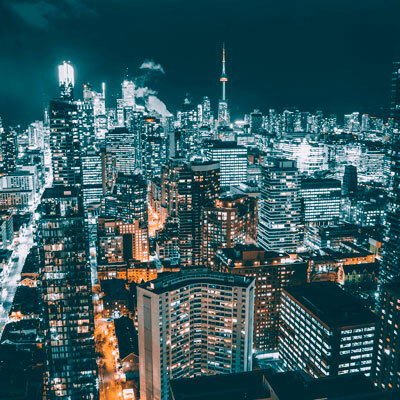 Voted as the second best city in Canada by quality of life, immigrants can enjoy great job opportunities, as well as plenty of fantastic universities including The University of Ottawa and Carleton University. Overall, Ottawa is the treasure of Canada. The beautiful landscapes, festivals and attractions are a treat for anybody deciding to visit the magical city. We suggest foregoing the public transportation and taking a casual walk or cycle through the city to really appreciate and discover all that Ottawa has to offer.